Be the first to review this 2018 Cadillac XT5. The 2018 Cadillac XT5 carries over virtually unchanged from 2017. XT5 is Cadillac’s entry-level crossover, replacing the SRX model designation after the 2016 model year. Seating five while straddling the line between compact and midsize, the Cadillac XT5 is part of a highly competitive vehicle category. Four trim levels are available: base XT5, Luxury, Premium Luxury, and Platinum. Each is appropriately well-equipped for a luxury vehicle. Every XT5 has the same powertrain. A hands-free power liftgate and a rearview display in the mirror are among the options. A 3.6-liter V6 engine produces 310 horsepower and 271 pound-feet of torque, working with an 8-speed automatic transmission. Front-wheel drive is standard on lower trim levels. All-wheel drive is optional, and standard with top Platinum trim. Like most crossovers in its segment, the XT5 isn’t meant for off-road treks. Ride and handling of the Cadillac XT5 are reasonably good. While the cabin looks and feels luxurious, it doesn’t stand out in its category. Likely rivals include the BMW X3, Mercedes-Benz GLC, Lexus RX, and Volvo XC60, as well as Lincoln’s MKC. Somewhat surprisingly for a luxury automaker, Cadillac restricts advanced safety technology to upper trim levels. Low-speed automatic emergency braking, for example, is standard on Premium Luxury and Platinum trim levels, and optional for Premium. It’s not available at all on the base XT5. Automatic braking is part of a group that includes active lane control, blind-spot monitors, and automatic high-beam headlights. For full-speed automatic emergency braking, the Driver Assist Package must be purchased, only for Premium Luxury and Platinum models. That option group also includes adaptive cruise control and reverse automatic braking. Some luxury competitors include such features on every trim level nowadays. Crash-test scores have varied. The National Highway Traffic Safety Administration gave the all-wheel-drive XT5 a five-star overall rating, but only four stars for the frontal crash. With front-drive, the XT5 got only a four-star overall score. The Insurance Institute for Highway Safety gave the XT5 its Top Safety Pick rating, but only when equipped with automatic emergency braking. Headlights were rated Marginal on upper trim levels, and Poor otherwise. Cadillac XT5 ($39,995) comes standard with front-wheel drive, 18-inch alloy wheels, a power liftgate, keyless ignition, power front seats, 8.0-inch display screen, Bose audio, satellite radio, wireless charging pad, Apple CarPlay and Android Auto, rear parking assist, and GM’s OnStar concierge/safety service. 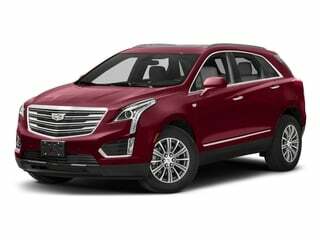 XT5 Luxury ($45,995) includes a Driver Awareness Package, with forward collision warning, emergency braking, active lane control, lane departure warning, and automatic high-beam headlights. Navigation is an option. All-wheel drive is optional ($2,500). XT5 Premium Luxury ($52,495) comes with contents from two Luxury option packages, plus an adjustable suspension, LED headlights, and 20-inch alloy wheels. An optional Driver Assist Package adds adaptive cruise control and full-speed automatic braking. All-wheel drive is optional ($2,500). XT5 AWD Platinum ($62,995) gets all-wheel drive, upgraded leather, a head-up display, heated rear seats, and a reconfigurable 8.0-inch display screen. Even though it’s made up of crisp and clean body lines, the XT5 isn’t a memorable vehicle. Compared to some daring Cadillac designs of the past, it’s anonymous. While demonstrating Cadillac’s latest attempt to soften exterior appearance, the XT5 might be considered banal, or perhaps just about precisely average. Little decorative detail work is evident on the rather stocky profile. In fact, it might be viewed as an example of restraint, a quality rarely found in Cadillac designs. Swept-back headlights look appealing, as do the LED strips that extend into the bumper. But they enclose a blandly-styled grille, far removed from some brashly elegant examples found on previous models. Unlike its exterior, the XT5 cabin is stylish and nicely-fitted, if marred by an excess of familiar General Motors switchgear. Certain controls can be frustrating to use. In other respects, the XT5 looks and feels like what it is: a nicely upscale luxury crossover. An 8.0-inch touchscreen sits high on the dashboard, with climate controls below. Capacitive-type buttons disappear from view when the XT5 is switched off. Genuine wood turns up here and there in the cabin. Power-adjustable front seats are comfortable, supportive, and feel like high quality. Upper trim levels include full lumbar adjustment for front occupants. Back seats are less enticing, with ample space for two adults, but not quite enough for a third to ride in comfort. An XT5 is a bit narrower than some competitors. Synthetic leather upholstery in lesser models might be more wear-resistant, but it detracts from the upscale feel. Higher trim levels get real leather, stepping up to semi-aniline in the Platinum edition. Cargo space ordinarily totals 30 cubic feet, but can be expanded by moving the 40/20/40-split folding rear bench forward. Maximum space reaches 63 cubic feet. CUE, the Cadillac User Interface infotainment system, has its problems but functions well enough. An annoying capacitive-bar volume control takes the place of a simple knob. Solid V6 power and luxurious ride quality blend with mildly athletic handling in the XT5, which also coddles its occupants pleasantly. While feeling lighter and more agile than its SRX predecessor, the XT5 is only a tad sportier. Electric power steering also feels light, but centers effectively. Sport mode improves its heft, but the difference is slight. Available all-wheel drive enhances road grip even on dry pavement, boosting a sense of confidence. Despite sitting low, an XT5 is not intended for off-road journeys. The fully independent suspension yields a firm, yet compliant, ride. Suspensions on top models continuously adjust damping, which is noticeable but helpful. Developing robust energy, with barely a hint of torque steer (on front-drive models), the V6 works well with the 8-speed automatic transmission. On the darker side, Cadillac’s drive-by-wire gearshift is touchy and annoying. Considering its available power, the XT5 is fairly fuel-efficient. Front-wheel-drive models are EPA-rated at 19/26 mpg City/Highway, or 22 mpg Combined. All-wheel drive extracts only a mild penalty: to 18/25 mpg City/Highway, or 21 mpg Combined. The standard stop/start system, which shuts the engine off at stoplights, is mostly unobtrusive. Inside and out, an XT5 feels like quality, though it falls short in memorable character. It’s a solid luxury crossover - but that’s a category with quite a few contenders. Each XT5 trim level is nicely equipped. Best value comes at the lower end of the price scale, as the full cost of an option-laden upper model can reach a startling figure. 2018 Cadillac listings within 25 miles of your ZIP code. Find 2018 Cadillac listings for sale near you.